If you love what you do for a living, you never have to work a day in your life. That’s how it is for Philip D. Campbell, M.D. He loves the science of performing refractive surgery, but he also has a deep appreciation for his patients: the people of East Tennessee. 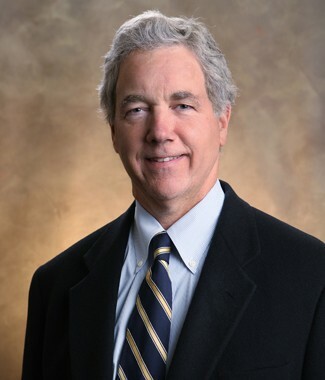 As a Knoxville native, Dr. Campbell finds it particularly fulfilling to care for his neighbors, especially when they share their life’s stories, allowing doctor and patient to develop closer bonds of friendship and trust. 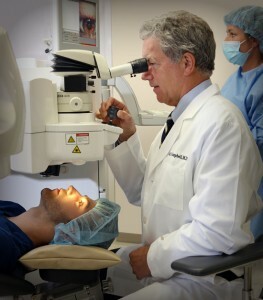 Dr. Philip D. Campbell performing LASIK vision correction in main office in Knoxville. Interest in the lives of his patients comes quite naturally to Dr. Campbell—he’s simply following in the footsteps of his father. After receiving his undergraduate degree from Tulane, Dr. Campbell enrolled in Tulane University School of Medicine. 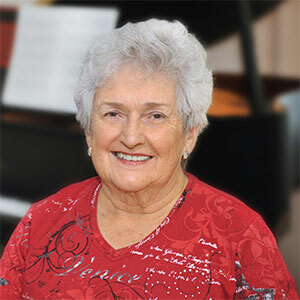 Dr. Campbell has been blessed with exceptional mentors throughout is medical education. During one of his medical school rotations, Campbell met ocular pathologist, Dr. David Apple, who became one of his influences, along with another Tulane leader, Dr. Thom Zimmerman. It was at that time, he decided to enter a career in ophthalmology. Later, he pursued his internship and residency at Emory University in Atlanta. There, he studied under George O. Waring, III, who was a pioneer in refractive surgery. “I can’t imagine having a stronger foundation in Ophthalmology than that which I received from these outstanding individuals,” says Campbell. Dr. Philip D. Campbell is an Ophthalmologist in Knoxville, Tennessee performing the latest in age-related surgical and disease management. Over the years, Dr. Campbell has embraced emerging technologies. 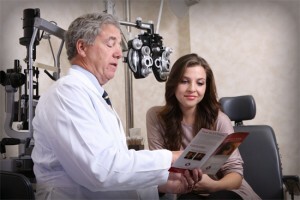 That led him to found, along with Dr. Les Cunningham, East Tennessee’s first onsite Custom LASIK surgical facility, the Campbell Cunningham Laser Center in 1997. “The eye is a small organ but so much goes on with it. When I began, I decided I was going to work hard to be as knowledgeable about this small, yet dynamic, part of our body. To schedule an appointment with Dr. Campbell or any one of our doctors, call (865) 584-0905.